Nestled in the Suncoast Region of Florida and dubbed the Sunshine City, St. Petersburg is not without its dark side. Pinellas County is the most densely populated county in the state of Florida, and St. Petersburg is the largest city within Pinellas County. The 2016 Community Health Needs Assessment (CHNA) for the Morton Plant Hospital (MPH) service area in Pinellas County asked respondents to rate issues within the community. Mental health and substance abuse concerns were ranked number one and two as the top-ranked issues presenting major problems within the community. Alcohol, prescription drugs including opioid painkillers and benzodiazepines, heroin, fentanyl, cocaine, and marijuana are common drugs of abuse in St. Petersburg. Florida already has a high rate of drug overdose deaths — higher than the national average, according to the Centers for Disease Control and Prevention (CDC) — and rates are even higher in Pinellas County. The Florida Department of Health (DOH) reports that there were 247 drug overdose deaths in Pinellas County in 2017, which equals a rate of 26.9 deaths per 100,000 residents. This is higher than the rate of 24.6 fatalities per 100,000 Floridians and the national rate of 21.7 overdose deaths per 100,000 residents. Treatment for drug abuse in St. Petersburg aims to prevent overdose deaths by educating the public and providers on the hazards of drug abuse and prescription drug misuse. Crisis and intervention services work to reverse overdoses and help residents find treatment services to manage drug abuse and addiction. There are a variety of public and private drug abuse treatment providers in St. Petersburg. They all work to minimize drug abuse and overdose fatalities. In Florida, the Florida Department of Children and Families (DCF) Substance Abuse and Mental Health (SAMH) Program oversees treatment providers offering drug abuse and addiction services. This is what defines a local Managing Entity (ME) for the different regions of the state. St. Petersburg, as part of Pinellas County, falls under the SunCoast Region. The ME for this region is the Central Florida Behavioral Health Network (CFBHN), which contracts with local community-based, often nonprofit, agencies to provide public mental health and addiction treatment services to local residents. Services are offered regardless of financial status, ability to pay, or insurance coverage. Public health care may be provided free of charge to eligible residents; they may accept Medicaid, Medicare, or private health insurance; or they may offer services based on a sliding scale. Treatment services offered by local providers in St. Petersburg include education and prevention programs, crisis and intervention services, treatment and rehabilitation, transitional housing arrangements, and recovery support programs. 2-1-1 Tampa Bay Cares: This organization provides immediate crisis services and referrals for treatment. NOPE (Narcotics Overdose Prevention and Education) of Pinellas: NOPE provides education on opioid abuse and overdose for preventative purposes. NAMI (National Alliance on Mental Illness) of Pinellas County: NAMI offers resources and listings for mental health services in the area. Healthy Pinellas Consortium: The Pinellas County Department of Public Health formed this Community Health Action Team (CHAT) to improve overall health and wellness of the residents, offering access to care and informational services. Pinellas County Health Department: This department provides public health care services and treatment information for residents. Live Free! Substance Abuse Prevention Coalition of Pinellas County: This group works to minimize drug abuse in the region by providing prevention and educational resources to the public. Florida DCF Licensed Providers: This is a listing of local providers by city. Behavioral Health Treatment Services Locator: This web-based tool helps individuals find local care based on zip code, payment type, and services required. Florida Alcohol and Drug Abuse Association (FADAA): This organization provides policy advocacy and increases treatment access and public awareness. Florida Association of Recovery Residences (FARR): FARR features information on licensed transitional living environments and resources. Medication-Assisted Treatment (MAT) Programs: This is a listing of Florida programs offering MAT services. Bay Area Narcotics Anonymous (BASCNA): This recovery support program is peer-based and hosts 12-step meetings in St. Petersburg. United Way Suncoast: This group serves Pinellas County residents to support healthy communities with access to care and crisis services. Nearly three-quarters of respondents in the MPH service area in Pinellas County (73.2 percent) named mental health issues as their biggest health concern. Over half (58.1 percent) cited substance abuse as the biggest health concern in the region, according to the 2016 CHNA. 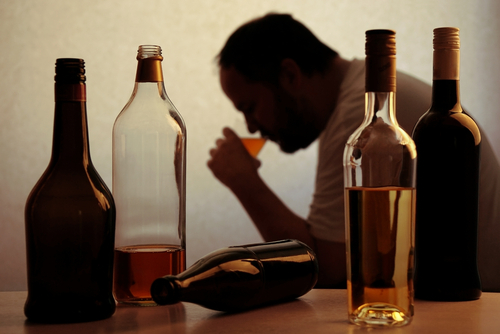 Alcohol is one of the main substances of abuse throughout the United States. In Pinellas County, just over 60 percent of residents were classified as current drinkers at the time of the CHNA, compared to a Florida average rate of 54.4 percent and a national rate of 59.7 percent. The suicide rate in Pinellas County is extremely high. The Pinellas County Community Health Assessment (CHA) 2018 reports that in 2016, there were 214 suicides in Pinellas County — a rate of 19.6 suicides per 100,000 residents, which is much higher than the state rate of 14.1 suicides per 100,000 people. Mental health and substance abuse concerns are high in St. Petersburg, and they often go hand in hand. The National Survey on Drug Use and Health (NSDUH) publishes that more than 8 million Americans struggled with both a mental illness and a substance use disorder in 2016. Just as with the rest of Florida, St. Petersburg residents battle opioid abuse, high overdose rates, and addiction. 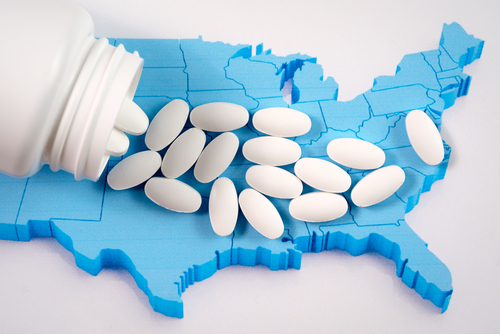 Florida has been known for its "pill mills" and doctors who were rampantly prescribing opioid painkillers without much oversight during the 2000s. Law enforcement efforts, increased awareness, and new regulations put a stop to much of this. The rate of prescription opioids being dispensed in Pinellas County peaked in 2010, the Pinellas County Opioid Task Force reports. Prescription opioid overdose deaths did decrease as a result; however, fatalities related to heroin and illicit fentanyl increased. Heroin overdose deaths rose nearly 80 percent between 2014 and 2015, and overdose deaths involving fentanyl jumped 115 percent. Fentanyl is a synthetic opioid that is between 50 and 100 times more potent than morphine, and it can be deadly in very small amounts. Fentanyl is often laced into other drugs, such as methamphetamine, cocaine, counterfeit prescription drugs, and heroin. It is also used to cut and stretch other illicit white powder drugs. There were 204 opioid overdose deaths in Pinellas County in 2016, half of which involved a prescription opioid. Nearly a third involved both a prescription drug and an illicit drug. In Pinellas County, one person dies at least every 32 hours from an opioid overdose. There are several measures that local agencies in St. Petersburg and Pinellas County, as well as statewide efforts, are using to manage opioid overdose, abuse, and addiction in the area. Opioid State Targeted Response Project: This aims to increase prevention and education efforts as well as expand access to treatment and recovery support services in Florida as part of the executive order signed by Governor Rick Scott declaring the opioid epidemic a public health emergency. E-FORCSE: The prescription drug monitoring program (PDMP) in Florida helps prescribers to track the dispensing of controlled substances to better identify potential diversion and misuse. Controlled Substances Bill: This places limits on opioid prescriptions to minimize addiction as well as increases the scope of E-FORSCSE. Standing Order: This allows Narcan (naloxone) to be obtained without a prescription to residents attempting to reverse an opioid overdose. Countywide Diversion Task Force: This is a collaboration between local Pinellas County, state, and federal law enforcement agencies to combat prescription fraud, arrest drug dealers, and close down pill mills. The Pinellas County Board of County Commissioners requires pain management clinics to undergo rigorous scrutiny and licensing before being allowed to operate within the county. Education and prevention measures are also provided to the public on the hazards of prescription opioids to minimize potential misuse. Operation Medicine Cabinet: The Pinellas County Sherriff's Department has two drop boxes to dispose of unwanted and unused prescription medications safely and securely. Pinellas County has one of the highest rates of arrests for possession of drugs in the state. There were over 30,000 arrests between 2010 and 2015, which is a much higher rate than other bigger counties like Hillsborough, the Tampa Bay Times reports. Programs that offer diversion into rehab services through county drug courts aim to get individuals into treatment programs instead of sending them to jail. On multiple levels, efforts are being made to address the substance abuse issue in St. Petersburg and Florida overall. 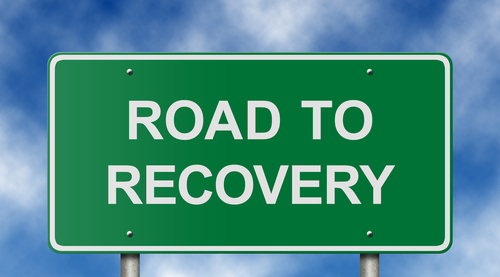 Improved access to treatment, education and prevention, and aftercare programs all help to support recovery and manage drug abuse and addiction issues in the region. Summary Report 2016 Community Health Needs Assessment. (July 2016). Morton Plant Hospital. Drug Overdose Deaths. (December 2018). Centers for Disease Control and Prevention. Drug Poisoning Deaths. (January 2019). Florida Department of Health. Substance Abuse. (2014). Florida Department of Children and Families. Managing Entities. (2014). Florida Department of Children and Families. SunCoast Region. (2014). Florida Department of Children and Families. Central Florida Behavioral Health Network. (2017). Central Florida Behavioral Health Network. 2-1-1 Tampa Bay Cares. 2-1-1 Tampa Bay Cares. NOPE of Pinellas. NOPE Pinellas Task Force. Resources. (2015). NAMI Pinellas County. Pinellas County CHAT. (2013). Florida Department of Health Pinellas County. Florida Department of Health in Pinellas County. (March 2016). Florida Department of Health in Pinellas County. Live Free! (2012). Substance Abuse Prevention Coalition of Pinellas County. Substance Abuse Providers - Licensed Components. (December 2018). Florida Department of Children and Families. Florida Alcohol and Drug Abuse Association. (2018). Florida Alcohol and Drug Abuse Association and Florida Behavioral Health Association. Florida Association of Recovery Residences. Florida Association of Recovery Residences. List of Statewide Methadone Medication-Assisted Treatment Programs. (August 2018). Florida Department of Children and Families. Bay Area Narcotics Anonymous. (2019). BASCNA. United Way Suncoast. (2014). United Way Suncoast. Pinellas County Community Health Assessment 2018. (June 2018). Florida Department of Health. Pinellas County Opioid Task Force Strategic Plan 2017-2019. Opioid Task Force. Florida's Opioid State Targeted Response Project. (2014). Florida Department of Children and Families. State of Florida Office of the Governor Executive Order Number 18-47. (February 2018). Department of State. Florida Take Control. (2018). Florida Health. Executive Order Number 17-146. (May 2017). State of Florida. Fighting Back Against Prescription Drugs. Pinellas County Florida Justice Coordination. Pinellas County Sheriff's Office. (2014). Pinellas County Sheriff's Office. Pinellas Among Florida Counties With Highest Arrest Rates for Drug Possession, Study Finds. (October 2016). Tampa Bay Times. Adult Drug Court. Sixth Judicial Circuit.